5 Simple Tips for Staving off Overwhelming Debt (Part 1) - Castle Rock Bankruptcy Attorney - Jon B. Clarke, P.C. Creating a budget and avoiding impulse spending are two ways that you can avoid becoming overburdened by a massive amount of debt. For some people, suddenly being burdened by a massive amount of debt maybe unavoidable because, say, they have lost their job, they were seriously injured and have a lot of expensive medical bills or they recently went through a divorce. In these cases, filing for bankruptcy may be the best option for getting out of debt and achieving a financial fresh start. However, in other cases when factors like unemployment, injury or divorce are not an issue, there are some things that people can do to avoid burying themselves in debt. Budget, budget, budget! – One of the easiest ways for people’s debt to quickly snowball is when they overspend and try to live well beyond their means. However, when a person has a clear idea of what he earns and how much he needs to spend on his monthly living costs (e.g., the essentials like rent, food, utilities, etc. ), then he knows how much disposable income he has to spend on other non-essential items – like going out to dinner or even going on a weekend getaway. By sticking to a budget, it’s relatively easy to avoid accumulating a massive amount of debt that can later come back to haunt you. Avoid impulsive spending – While occasionally buying an inexpensive item – like a $10 shirt or bag of gourmet coffee – on the fly will not wreck your budget, be very careful about making such impulse purchases, especially if they are particularly pricey. Impulse spending is one of the easiest ways for you to quickly blow your budget for the month, rack up expensive credit card bills and quickly find yourself buried in debt. A good tip when it comes to curbing impulse spending is to force yourself to wait at least a day before you purchase the item in question. In many cases, having a day or more of perspective on whether you should buy the item will let you know if you really need the item or if it’s something that you really just wanted in the moment and can actually live without. 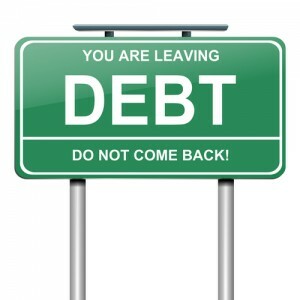 For more tips on how you can avoid accumulating a large amount of debt, check out the upcoming Part 2 of this blog. If you are overwhelmed by seemingly insurmountable debt and are looking for a financial fresh start, contact the trusted Colorado debt relief and bankruptcy lawyers at the Law Office of Jon B. Clarke, P.C. For more than 35 years, Mr. Clarke and his diligent support staff have been successfully helping our clients resolve even the most complex bankruptcy cases for both individuals and businesses alike. Our experienced legal professionals are committed to providing each of our Clients with the personalized debt relief assistance they need, and we will work tirelessly to ensure that our Clients’ cases are resolved as favorably and efficiently as possible.